Company Name: Alias Color Inc.
Josette Buisson is the President and Creative Director of Alias Color Inc. Her work methodology is grounded in 20 years of research in the fields of market trends pertinent to brand image, packaging and multi platforms marketing programs. She believes a brilliant communication message has to be articulated around color. 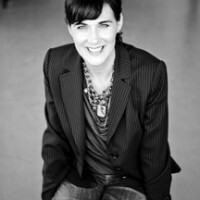 Josette is an expert in her field regarding branding, communication, research and presentations. Her future goal is to become a certified Woman Owned Business. Previously she was the owner and co-founder of House of Character, April 2013 – Present. House of Character is a new form of online magazine focused on story telling, through the perspective of products. when not working she enjoys painting, travel, and art.